The Drapers' Company is one of the livery companies in the City of London. It was founded in 1438 and received a royal charter in 1607. Today, one of its primary focuses is charitable work. Women and men who gain membership are granted the Freedom of the Company. 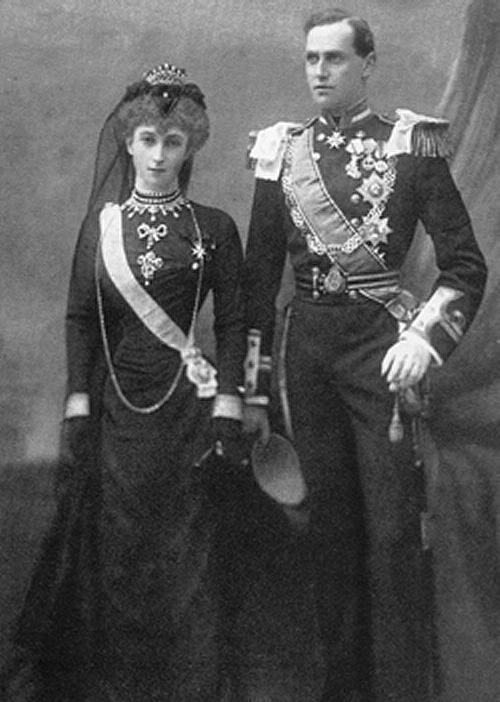 In July of 1896, Prince Carl of Denmark became a freeman of the company; on the Thursday before the royal wedding, newspapers note that Carl and Maud's brother, the Duke of York, were "entertained ... by the Drapers company," and Carl "was presented with the freedom of the Drapers' Company." The current Norwegian king, Harald V, is a freeman of the Drapers' Company today; so is his cousin, Queen Elizabeth II of the United Kingdom. Maud was photographed wearing the Drapers' Company Brooch pinned to the bodice of one of her elaborate turn-of-the-century gowns on various occasions; above, she wears it during the funeral for her grandmother, Queen Victoria. The brooch and the rest of her jewels weren't her only wedding present, though; she and Carl also received a home, Appleton House, on the Sandringham estate owned by her parents, King Edward VII and Queen Alexandra of the United Kingdom. Even after becoming Norway's queen consort, Maud spent a great deal of time at Appleton. She was on a visit to the Sandringham estate in October 1938 when she suddenly fell ill. After surgery in London, Maud died at Appleton House. Maud had brought her jewelry with her on her final visit to England, and it was left behind when her body was taken back to Norway. Less than a year later, war broke out, and the jewelry was transferred to Windsor Castle. It seems likely that the Drapers' Company Brooch was among that collection. 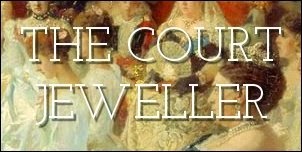 The jewels remained at Windsor until the Norwegian royals came to England for Queen Elizabeth II's coronation in 1953. 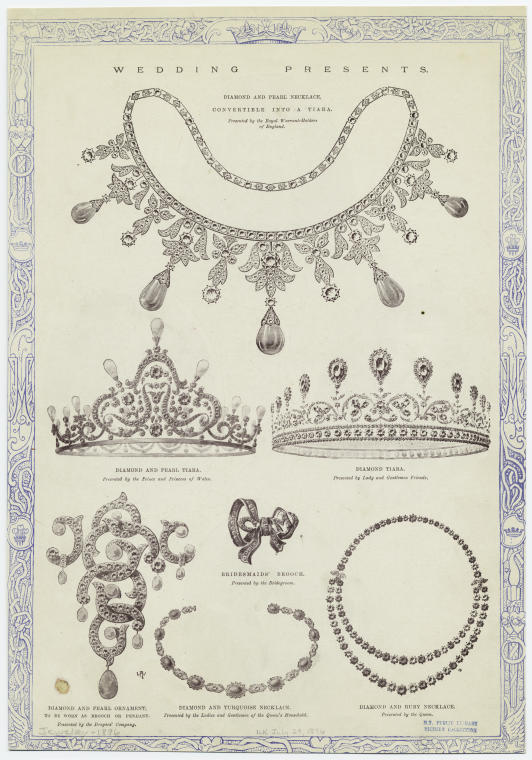 After the pomp and circumstance of the coronation had finished, they retrieved Maud's jewels and brought them back to Oslo. The next person to wear the Drapers' Company brooch should have been Maud's daughter-in-law, Crown Princess Martha. But she was already ill with the cancer that would kill her when Maud's jewels were brought back to Norway, and she never got to wear most of the pieces from her mother-in-law's collection. Instead, it seems that the next wearer of brooch was Maud's granddaughter-in-law, Queen Sonja. She has made the brooch a central part of her jewelry rotation, especially in the 25 years since she became queen consort. ... and quite often with no tiara at all. It really is a substantial piece that can hold its own even without a paired diadem. 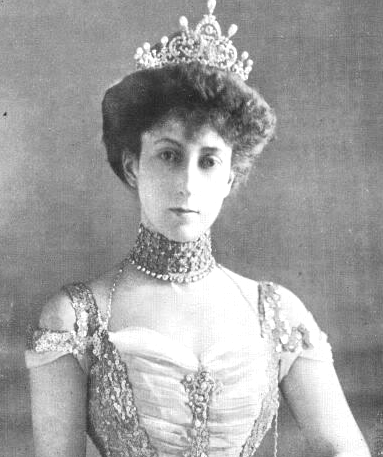 Sonja has worn the brooch at events directly connected to Queen Maud's history, including a theater gala marking the centenary of independent Norway. Fittingly, she has also worn the brooch at events in the United Kingdom. Above, the brooch is pinned to her gown at the sovereigns' dinner during Queen Elizabeth II's Golden Jubilee. The brooch also made an appearance at Buckingham Palace during the Diamond Jubilee. And she also wore the brooch during one of the highest-profile celebrations in recent British memory: the wedding of the Duke and Duchess of Cambridge. Sonja even chose the brooch for a very personal event: one of the celebrations for her 70th birthday. But although it is such a central part of her own jewelry box, Sonja has also loaned the Drapers' Company Brooch out for a very important event. Crown Princess Mette-Marit wore the brooch with (the replica of) the small setting of Queen Maud's Pearl Tiara at the Swedish royal wedding in 2010. It was a timely reminder of the continuity of monarchy: a future Norwegian queen consort donning the heirloom brooch at the wedding of a future Swedish queen regnant.